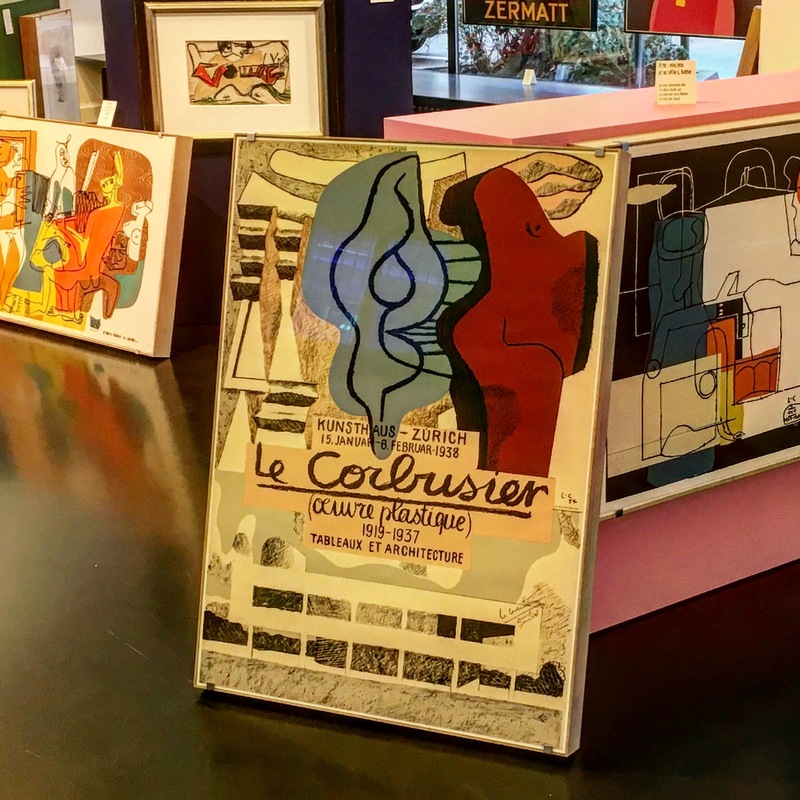 Only recently available, the best of both worlds: The first Original Lithograph in color by Le Corbusier was a poster that he designed for his exhibition «Œuvre Plastique» 1938 at the Kunsthaus Zürich (100×71 cm); the print run was only 100 exemplars – and this one is moreover even hand-signed by LC as well as dated and annotated «Zurich, janvier 1938». The Original Poster promoted Le Corbusier’s first solo exhibition ever. He stopped to get his art shown in the early days of the 20s when his seminal „Vers une architecture“ was published. Sigfried Giedion, one of the Swiss pioneers of modernism, had to persuade him to show the result of his morning work – in the early hours LC was an artist in his private atelier, afternoon he was the architect and urban planner at 35 Rue de Sèvres.